Weather your gymnast is going to practice, a clinic, a meet, or a camp, hair is always something girls are concerned about! In the sport of gymnastics, it is required that your gymnast’s hair is pulled back so it is out of her face so it does not interfere with her performance. Not having your hair pulled back can be a distraction and can even cause injuries. Because your gymnast is, well, a gymnast, it is only normal for her to be tumbling all over the place. If your gymnast has long hair, it can be a risk for her to get her hair wrapped up with her hands or feet. Even if your gymnast is on the bars it will be easy to pull her hair, or her hair to get caught when she is flipping and spinning around. Regardless of the situation, it just is a hazard for your gymnast to have her hair totally down. Your gymnast’s hair can become a distraction by whipping her in the face, or getting in the way while she is performing. It wouldn’t be beneficial for your gymnast to have her hair down if she is constantly pushing it out of her face or causing her to not be able to see. Gymnastics is a very hard sport, and I honestly mean that. You, your gymnast, your gymnast’s coaches, and the judges at the meets want your gymnast to be able to see what she is doing! It is important for her to look ahead and think about her routines. If your gymnast cannot see, she can also fall and injure herself that way as well. To help prevent your gymnast from getting hurt because of her hair while still looking cute and stylish, keep on reading for some hairstyle ideas that will add some personality and fun to your gymnast’s hair! This is the most used hairstyle that I see at meets. It is a very classic look that all the gymnasts on the team can do. This bun is ballerina-inspired and keeps all of the hair out of your gymnast’s face and off her neck as well. If you are having trouble picturing what this looks like, just think Miley Cyrus! Even though you may not be a fan of Ms. Cyrus, this hairdo looks incredibly cute on gymnasts! If your gymnast is more on the wild side, this would be the perfect “do” for her. You could do this hairstyle by doing ballerina buns, messy buns, or even braided buns. All styles look cute so it would not hurt to experiment on which one your gymnast likes more! Surprisingly this is becoming a new trend! I have seen this hairstyle on younger girls, and it looks elegant because the hair is actually twisted and made into a bow. This hairstyle will top off any sparkly and bejeweled leo, making your gymnast feel like a princess! The messy bun look is my personal favorite, but my Grandmother will tell you that you look like you have a mop on top of your head! This is my favorite because there is no specific way of doing a “messy” bun. Everyone does this messy bun differently, and not one messy bun will look like the other. Your gymnast will be doing a lot of running, twisting, turning, flipping, and other ninja-things anyway so it is only natural that your gymnast’s hair will get messy somehow! This is a perfect braid for your gymnast because it starts at the top of your head, which means it will include all of your gymnasts hair. This style would look adorable on your gymnast in a ponytail. Simply put your gymnast’s hair in a ponytail and braid the actual ponytail. This braid does not start at the top of the head, which is why I say to put your gymnast’s hair in a ponytail first. A fishtail braid is done by using two sections of hair, whereas the most popular braids are done by three sections of hair. The fishtail braid is one of the newest braiding trends but is a cool way to show off the different colors within your gymnast’s hair. It is a very easy braid to learn, especially for those who do not do well with three sectioned braids! A dutch braid may look like a french braid, but if you look closer it looks as if the dutch braid is more 3D. What I mean by this is that the braid sticks out more and has more of a cleaner look to it. 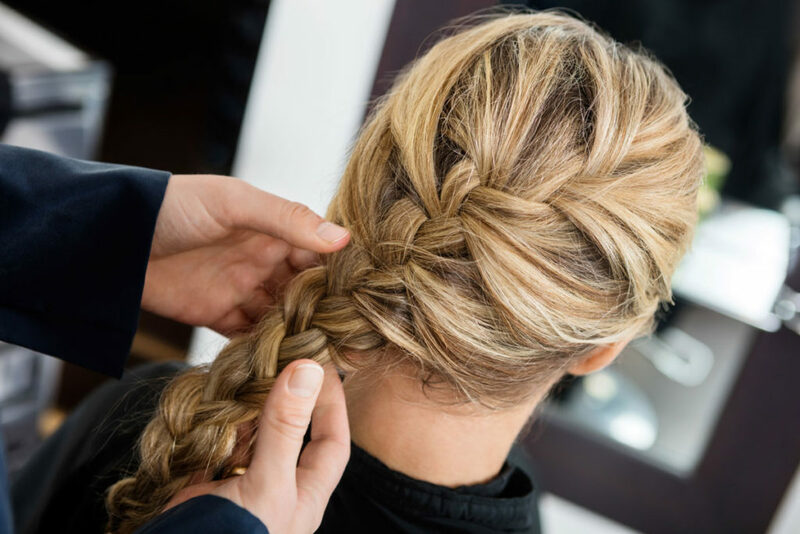 Just like the french braid, the dutch braid can be started from the top of the head, getting all of the hair out of your gymnast’s face. You can add a tiny ribbon at the end of the braid to add some color as well. Just like the classic bun, this is a style I see at meets all of the time. Maybe your gymnast just wants something simple and plain, or maybe your gymnast does not like how braids or buns look in her hair. A ponytail is something every girl can do, therefore if your gymnast’s hair gets messed up during practice or a meet. 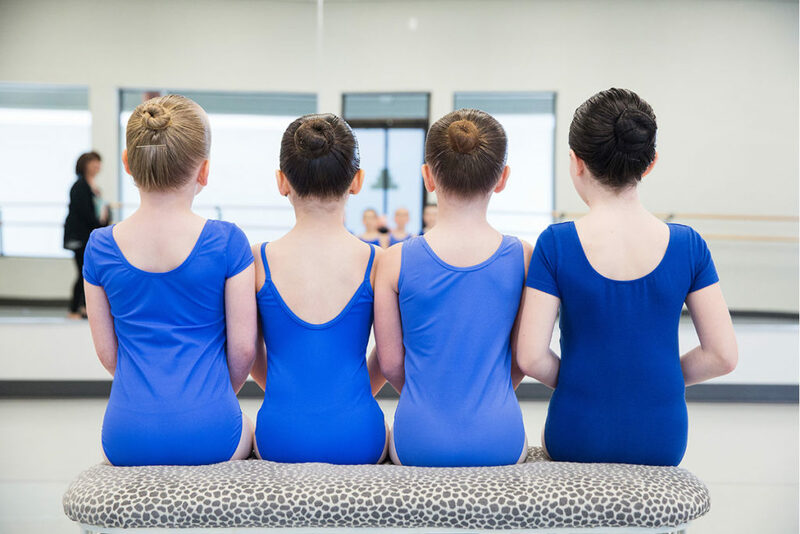 A ponytail will be easy for your gymnast to fix herself instead of worrying about trying to do anything complicated or going through the hassle of trying to find you to re-do her hair! This adds a little surprise to your gymnast’s hair in the back. If your gymnast is not a fan of having hair braided on the top of her head or on the side, this is perfect! When putting your gymnast’s hair in a ponytail or bun, leave some of the “underneath” hair separated from the rest. The only thing you have to do is just braid the separated underneath hair, and pull it upward into the ponytail or bun. This hairstyle is simple and easy to learn, plus it “spices” up the classic ponytail or bun looks. I love curly hair in general because there are many different ways in curling hair. This would be a cute look for a meet for it is embellishing. During cheerleading competitors, cheerleaders wear hair pieces of super-tight curls. In fact, Irish Dancers do the same thing as well! Curls look great on any girl’s hair, so you can never go wrong on curling your gymnast’s hair before a meet. Always remember to use hair clips and hairspray when doing your gymnast’s hair. It is required that their hair is totally pushed back by not having little pieces flying around, and the clips are to make sure your gymnast’s hair stays in place. You do not want your gymnast to perform during a meet and her hair totally fall out! It would be such a disturbance and that is something your gymnast (and you) would definitely not want. Please feel free to comment below to give us any feedback when it comes to hairstyles for gymnasts. We would love to hear what works in your gymnast’s hair and what doesn’t work! Please remember that everyone’s hair is different and different hairstyles work on different hair. Hopefully, you will be able to find a hairstyle that works for your gymnast from this post!